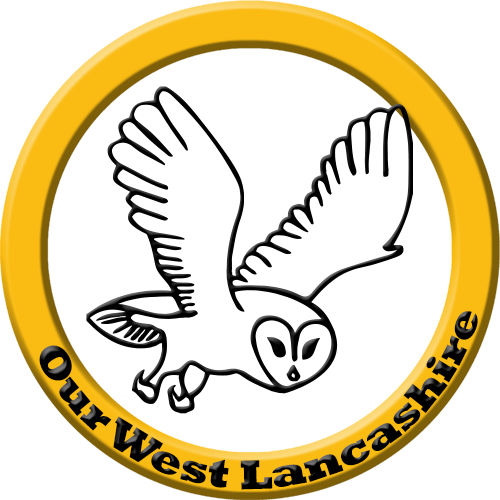 Our West Lancashire is a group of independent and civic minded people from across the Borough. It is easy to see that two party politics in West Lancashire is broken. OWL was founded as an antidote to the two local parties; their squabbling; and tribal attitudes. At OWL we believe in sensible, pragmatic policies that benefit as many people as possible, and a major part of this is reforming how local politics works. Here, you’ll find a list of some of the problems in council culture and you’ll find our solutions. If you agree with us please get in touch to get involved and be part of the solution. There is a long list of scandal, dereliction of duties, favouritism, and misinformation. 30 July 2014, a Halsall residents’ association complained to the Champion about a councillor not responding to a petition. The Labour transport portfolio holder “did not even have the manners to reply” when sent the petition about local bus services. 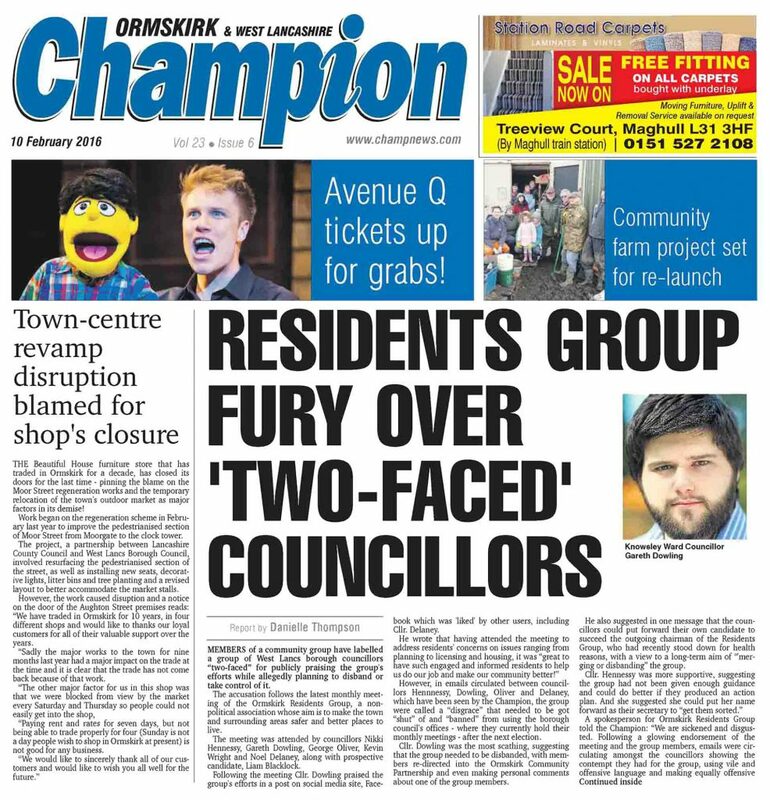 An Ormskirk resident made a similar complaint about the same councillor to the same paper in the summer of 2015. 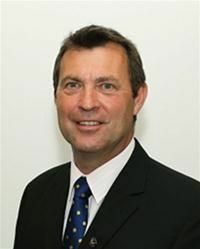 Conservative Councillor Paul Moon was unveiled as having withheld information about his seat on Wyre Council when standing for West Lancashire Borough Council. He stood for, and was elected to the ward of Hesketh Bank in May 2016, as a Conservative Party candidate. During his campaign he never mentioned the two ‘hats’ he would have to wear if elected. Of course, the main concern was whether it is possible to effectively represent your ward when you have two of them? Cllr Moon finally resigned in May 2018, after a lot of pressure from Cllr Adrian Owens. 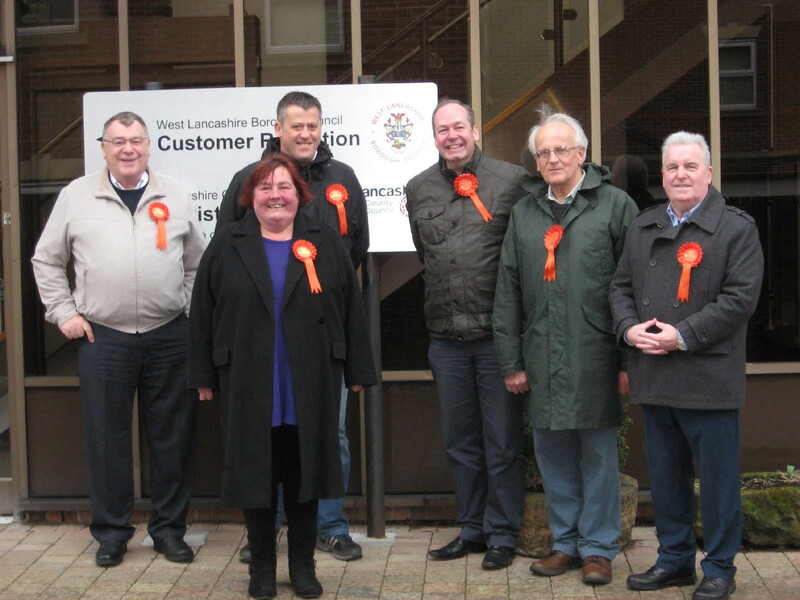 Only 9 out of 54 elected councillors attended a WLBC council meeting – that they had asked for! It was a meeting about the council’s responsibilities relating to Health and Safety for residents – we’d hope Councillors regard as important. Conservative Councillor Sam Currie seemingly thought being in the audience of BBC Question Time was more important than a council meeting. In February 2018, instead of doing his duty and attending a council committee meeting, he could be seen in the TV audience. On another day, there was a presentation regarding the West Lancashire economy, and attendance was little better. Three quarters of the Conservative councillors failed to attend and the Labour turnout was only a slight improvement. We believe that such important matters should be top of a councillor’s list of priorities. When Councillors do decide to attend meetings and work with their residents and electorate, there is evidence of disregard for those they are supposed represent. 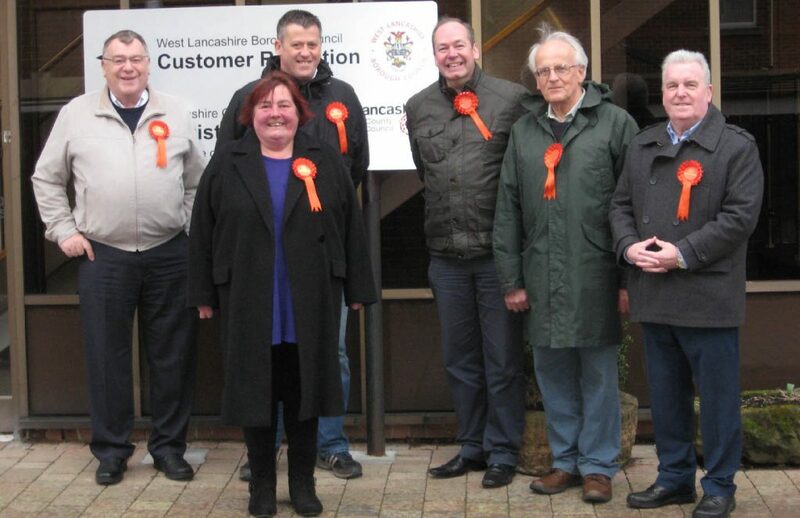 In February 2016 five Labour councillors and a candidate attended a resident group meeting. Emails were subsequently seen by the Champion where they discussed that the groups needed to be got ‘shut’ of and be ‘banned’ from Council buildings. in 2017, a Cabinet Member for WLBC had the audacity to suggest that residents shouldn’t be able to sign petitions on certain matters. The Council’s Solicitor had to step and correct him on the matter. At an October 2017 Borough Council meeting, every single Conservative councillor walked out! Swathes of West Lancashire were left unrepresented for half of the agenda. Extra support for events in Ormskirk and pension justice for women born in the 1950’s were debated , all without a single Conservative voice in the room. Cllr Nikki Hennessey presenting County Council (taxpayer) funds as a Labour cheque. In March 2017, a grant was given to a local charity by Lancashire County Council. 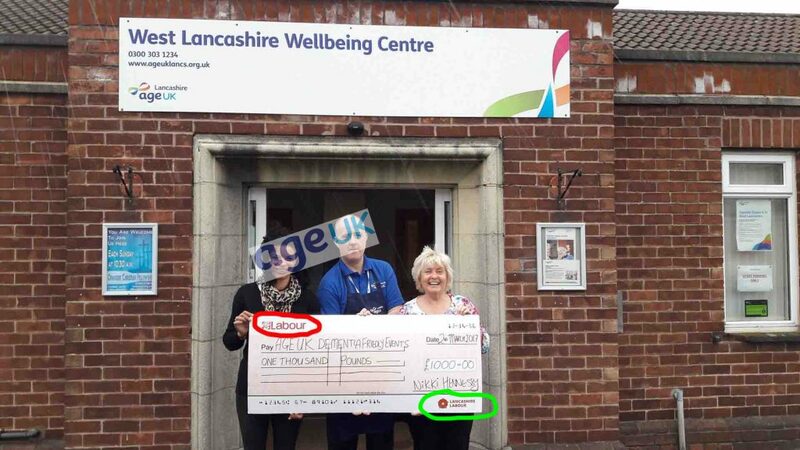 For reasons unknown to us, Labour County Councillor and Knowsley Ward Councillor Nicky Hennessey presented taxpayer funds as a cheque from Labour – but it actually came from every single taxpayer in Lancashire. The 2014/15 planning committee for WLBC was made up of three members of the same family, all Councillors. That meant that one household controlled an eighth of the entire planning committee. Council and committees should be representative of the local population. Out of 42 Conservative councillors on Lancashire County Council, 33 of them have special responsibilities. With these responsibilities comes extra money, £7-8,000 on top of the £10,000 normal allowance. These special responsibilities and allowances are handed out by the Council Leader.Only 95 MPs can get Ministerial pay – that’s less than one third of MPs in the current national government, compared to more than 75% at County Hall in Preston. 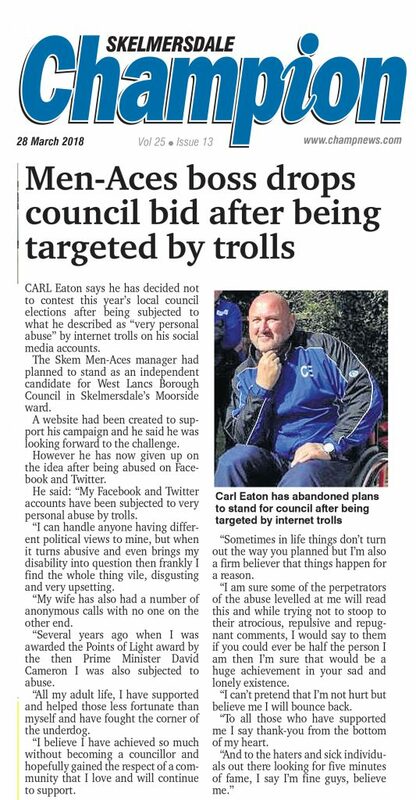 Carl Eaton wanted to stand as an Independent councillor in March 2018. He coaches and leads Skem Men-Aces football team and wanted to fight for Skelmersdale’s sporting facilities. After a barrage of abuse for having the temerity to challenge Labour’s one-party state in the town, Carl was forced to withdraw from the election. Until recently, there were seven councillors sitting at both County and Borough levels. In 2012-13 one Conservative councillor received a combined total of £42,000. Similarly, a Labour councillor received more than £32,000 in allowances. This was money for a part-time, public service role whilst voting through cuts to services for vulnerable residents. For 2017-18 there are still four councillors elected to both County and Borough councils and receiving money for both. In July 2014 the West Lancashire Conservative Association sent a letter to members, encouraging them to stand for election. One of the key benefits specifically mentioned was the allowance that would be received if they were elected. Traditionally, votes about pay and allowances are free votes at local and national level. July 2017 saw the Conservative group at LCC whip a vote on councillor allowances. 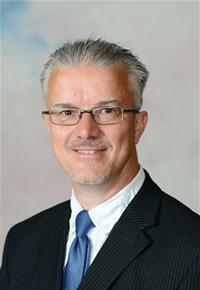 Councillor Paul Greenall resigned from the party over the matter of principle. 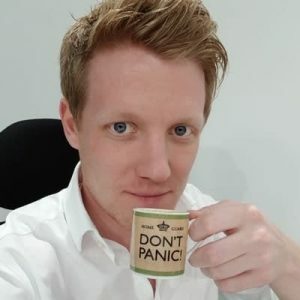 A rather long, and growing, list of the problems of apathy and disregard towards voters, nepotism, and an inclination towards money instead of representing the residents of West Lancashire. So, what can be done about it? We propose a cut in the number of councillors on WLBC from 54 to 36. We want to see a reduction in councillor allowances to the level of Lancashire averages. We suggest a cap on the amount of Special Responsibility roles at County level. Clearly, the culture within the big two parties needs to change. The residents that councillors represent deserve respect and their money should be spent fairly. OWL is wholly committed to putting residents first and foremost, you can read our policies here, see the progress we have made so far, and get in touch if you would like to get involved and bring about more change.